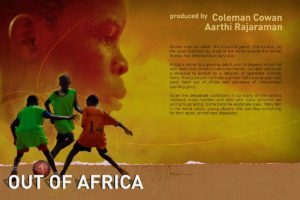 60 Minutes Sports covers the soccer industry’s never-ending hunt for talent in Africa as corrupt agents promise young boys a new life and riches, but few make it to the big stage; many more suffer the consequences. Jeff Glor reports. Coleman Cowan and Aarthi Rajaraman are the producers. Soccer may be called “the beautiful game,” but football, as the sport is known by most of the world outside the United States, has developed an ugly side. Africa is home to a growing talent pool of players, which not only feeds top-division teams worldwide, but also serves as a resource to exploit by a network of operators working there. Young players routinely put their faith in strangers who send them out of Africa with promises of international sporting glory. Given the desperate conditions in so many of the nations involved, many families with kids who show potential are willing to go along. Some become legitimate stars. Many fail. In the worst cases, young players who sacrifice everything for their sport, sometimes disappear.